Are your clients feeding what is truly best for their horses? Gastrointestinal health in horses is a hot-button topic among owners today. But too often, they are making feeding and management choices without consulting their veterinarian. And many lack accurate understanding of their horse’s state of health and the feeds and supplements they’re using. Take the reins on managing digestive health in your clients’ horses. 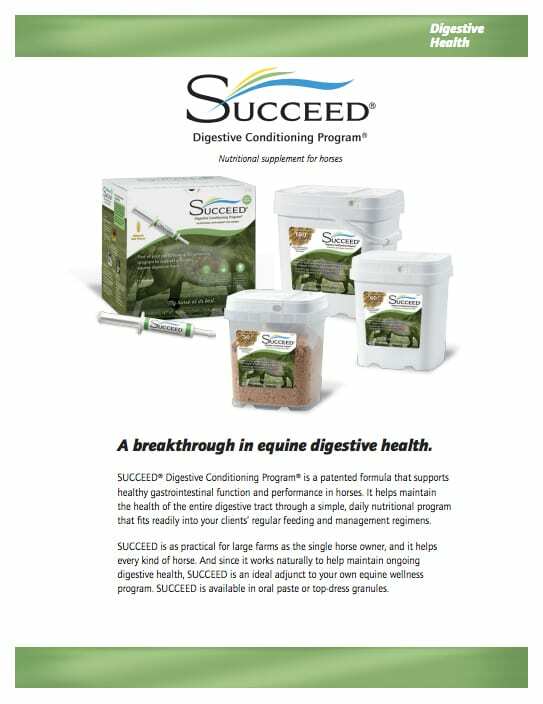 SUCCEED Digestive Conditioning Program is a patented formula that supports healthy gastrointestinal function and performance in horses. It helps maintain the health of the entire digestive tract through a simple, daily nutritional program that fits readily into your clients’ regular feeding and management regimens. 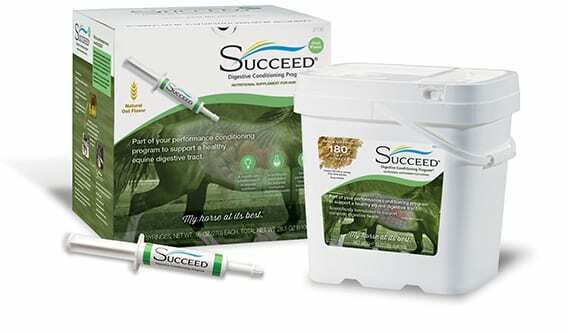 SUCCEED is as practical for large farms as well as the single horse owner, and it helps every kind of horse. 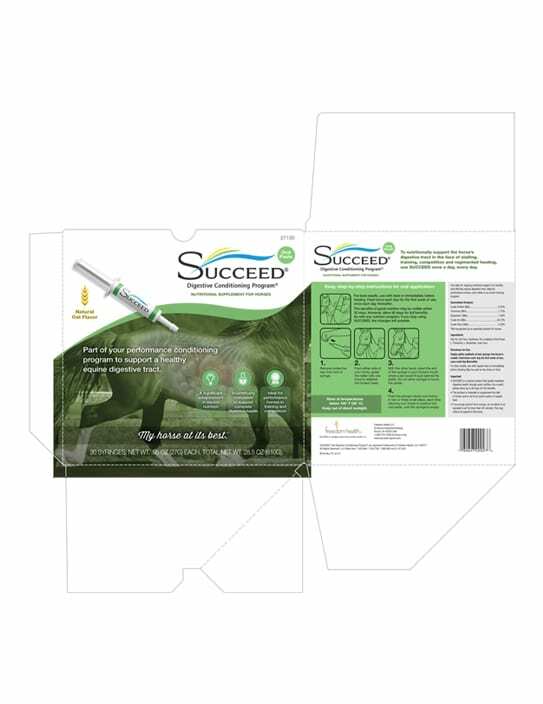 And since it works naturally to help maintain ongoing digestive health, SUCCEED is an ideal adjunct to your own equine wellness program. 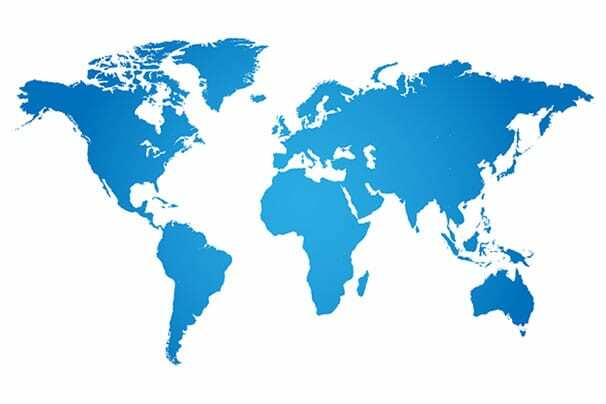 From the very beginning, SUCCEED has been developed on a strong foundation of science and research and supported with numerous trials to test performance and clinical value. Oat oil is rich in polar lipids, particularly galactolipids. Dietary polar lipids are important in forming the tight junctions between the epithelial cells lining the gut. 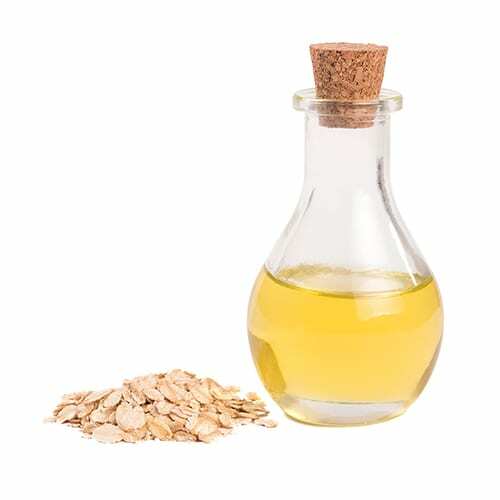 Oat oil is also rich in trienols and tocopherols, powerful antioxidants that sweep free radicals out of the system before they can damage the surrounding tissue. Polar lipids are versatile emulsifiers, stabilizing oil-water mixtures. As such, they provide an ideal nutrient delivery vehicle, capable of transferring both fat- and water-soluble molecules into the tissues. Adding polar lipids to the diet has been shown to protect the intestinal mucosa and to strengthen the impermeability of the barrier. All of this works together to enhance the equine GI tract’s natural protection from acids and ability to absorb nutrients fully, while safely removing potentially harmful pathogens from the hindgut. 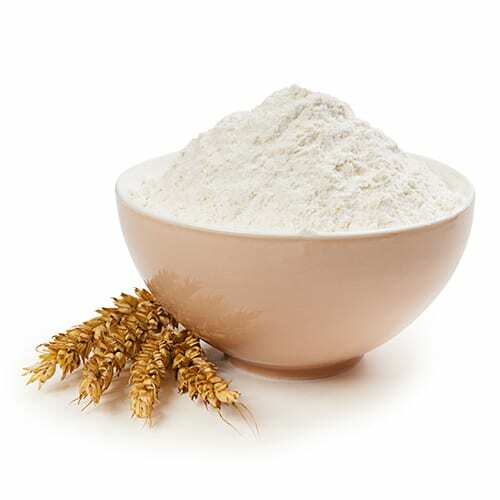 Beta-glucan is a polysaccharide derived from yeast, barley and oats. It has been known for years to reduce LDL cholesterol levels in the blood. More significantly, beta-glucan serves an important role as a potent immuno-stimulator. It induces macrophages, which have a specific beta-glucan receptor, to mount a full-blown immune system response to pathogenic microbes. This aids in healing damaged tissue in the horse’s hindgut. Beta-glucan also creates a gel in aqueous solutions, slowing the transit of digesta through the gut. This allows starches to be digested earlier in the system, thereby reducing the negative effects of starch in the hind gut. 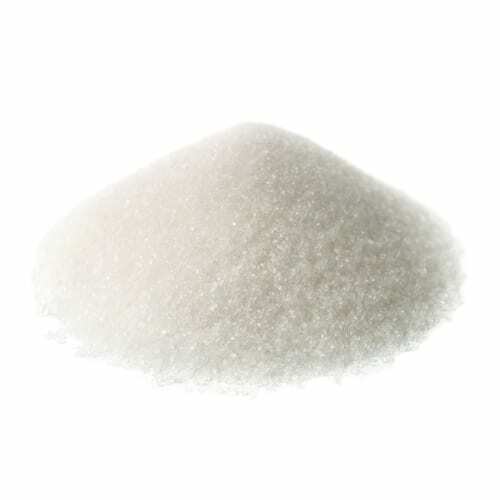 Finally, beta-glucan moderates the release of sugars from the digestive system, helping to prevent the sugar highs and lows that often afflict animals that are fed only two or three times a day on an energy-rich high carbohydrate diet. Altogether, beta-glucan is highly beneficial for both healing and the protection of the hindgut. The cells of the intestinal mucosa are constantly dividing, ultimately managing to totally replace the digestive tract lining about every three days. This continuous cell division requires the replication of millions of DNA molecules every second. In turn, each DNA molecule is made up of several billion nucleotides. This represents a sizeable expenditure of energy-intensive chemical synthesis. Maintaining an adequate level of nucleotides is thus a major, ongoing issue for the digestive system. Studies have demonstrated that nucleotide supplements increase mucosal thickness and protein levels and may also speed up intestinal recovery after chronic diarrhea and intestinal damage. Dietary nucleotides also seem to have an important beneficial effect on the intestinal microflora, stimulating the growth of beneficial bacteria and inhibiting pathogens. Extracts of yeast (saccharomyces cerevisiae) have been found to bind pathogens, perhaps because their mannan oligosaccharide (MOS) content mimics the carbohydrates in the enterocyte membranes. Pathogens mistakenly bind with MOS instead of the enterocytes, and are subsequently flushed out of the digestive system. Along with the pathogens go the toxins they would have produced. MOS can be digested by the enzymes of certain beneficial bacteria. So, in addition to discouraging pathogenic bacteria, MOS also promotes the growth of beneficial microbes such as lactobacillus. MOS also stimulates the immune system and encourages the growth of intestinal villi, showing improved digestion and absorption of nutrients in various animal studies. 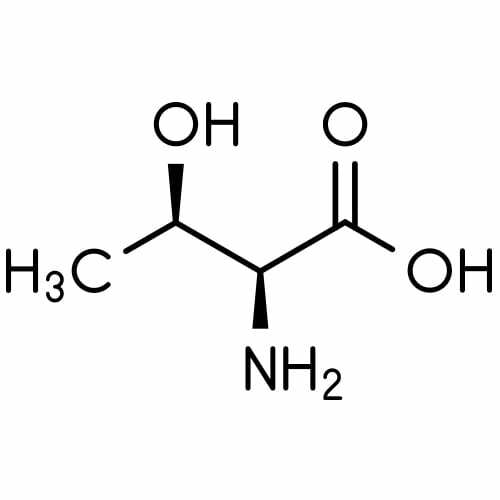 L-Glutamine is the most abundant amino acid in humans as well as horses. It is considered to be “conditionally essential.” That is, L-Glutamine is a nonessential amino acid under normal conditions, but supplements may be needed to replenish the supply when the body is stressed. L-Glutamine deficits can result in diarrhea, villous atrophy, mucosal ulceration, increased intestinal permeability and necrosis. L-Glutamine is a muscle fuel and also supplies nitrogen to the immune cells of the intestinal mucosa, which help to prevent pathogenic organisms from entering the circulatory system. The intestines, along with immune and kidney cells, are the primary consumers of glutamine in animals. Parenteral glutamine has been shown to improve recovery in several studies and animal models. L-Threonine is an essential amino acid and an important component of the mucin produced by the goblet cells distributed throughout the intestinal tract. By assisting metabolism and nutrient absorption, L-Threonine contributes to a smoothly functioning GI tract. A deficiency of L-Threonine slows the regeneration of the gut wall and depresses the production of mucus. L-Threonine is especially useful for wound healing and for treating stress, but it is also an essential link in the production of immunoglobulins. Download to read and print detailed product information for yourself and your clients. Review the package and labeling for SUCCEED Digestive Conditioning Program. Learn more about the SUCCEED Digestive Conditioning Program patented formula by downloading the whitepaper. 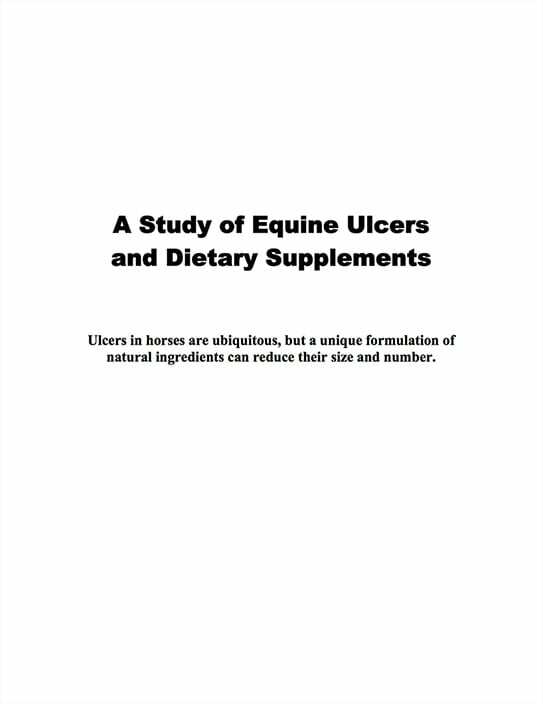 For horses kept in stalls, fed intermittently on high grain diets, or facing the challenges of training and competition. For mares during pregnancy and foals during weaning. As part of a regular wellness program. Feed SUCCEED twice each day for first week of use, once each day thereafter. Paste – Empty contents of one tube (27 grams) on top of horse’s feed. 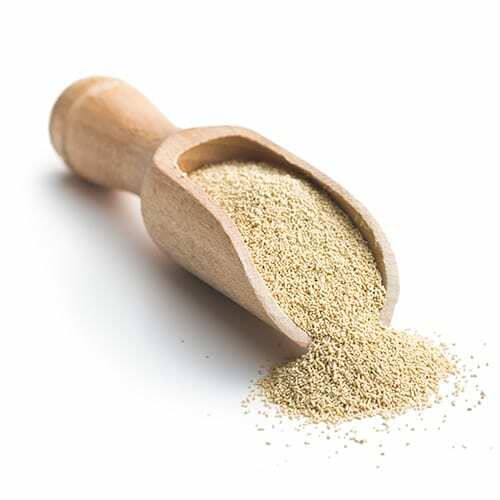 Granules – Sprinkle one scoop of SUCCEED granules on top of feed. Do not mix.